A Post Graduate Diploma in Computer Application (PGDCA) is a one-year diploma level course in computer science. Students with a graduate degree can join this course. The course majorly focuses on developing programming skills in students and after completing this course, students can get an entry-level programming job in an IT company or can join an advanced programming course to further enhance their programming skills. The course is available in both regular and distance learning mode. If you're a working professional and can not join a regular course, you can join a PGDCA course through distance learning from a recognized university in India. After completing the PGDCA course, here are some career options available to you. There are many Universities in India that offer a distance education PGDCA course. In this article, we're going to mention some top universities that offer a PGDCA through distance learning mode. If you want to join a Post Graduate Diploma in Computer Application through distance education or online mode, here are our top 5 recommendations. Located in Rajasthan, Suresh Gyan Vihar University is one of the fastest growing universities for distance learning. The university is recognized by Distance Education Bureau (DEB) to offer distance learning courses in India. 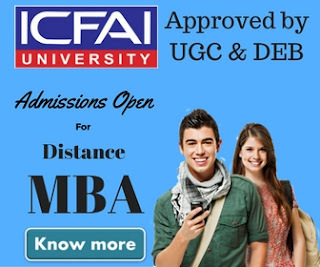 The university offers total 5 courses i.e MBA, MCA, PGDCA, BCA, and BBA. The PGDCA course offered by the University help students learn the fundamentals of computers the core principles of programming. Students learn widely used programming languages during the course that helps them build a successful career in the field of computer science. During the course, you get in-depth knowledge of IT applications, software and programming skills and emerging techniques. This is a one year course which is further divided into 2 semesters of 6 months each. Below is the course structure of SGVU PGDCA. To be eligible for this course, you must have passed B.Sc. with min 45% with Mathematics or B.Tech./ B.E./ BCA or Master degree in any subject. The total fee for PGDCA course at SGVU is INR 26,400. Lovely Professional University is one of the most popular private university in India. Along with their regular courses, LPU also offers many professional courses through distance learning. PGDCA is one of the courses that LPU offers under its distance education system. If you have a passion to create computer application for future, you can join a PGDCA course from LPU. The courses enable you to handle the computers in large industries. You will be trained in the latest trends of Programming Languages, Database Management, and Application Development. The minimum duration for completing this course is 1 years and the maximum is 3 years. Below is the PGDCA course offerd by LPU. You must be a graduate to join this course. The total fee for this course is 20800 (excluding the examination and study material fee). To get an admission in this course, someone is required to purchase the prospectus and application form. After you filled up the application form, you are required attach the required documents and fee demand draft, and send it to University address. 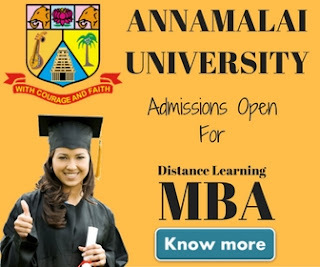 Annamalai University is a renowned University in India for distance education. The university is quite popular in South India. Annamalai University offers both regular and distance learning courses. The Distance Learning PGDCA course offered by Annamalai is a one year course that is further divided into 2 semesters. You only require a graduate degree to be eligible for this course. The total fee for this course is Rs. 6900. The programme code for PGDCA course at Annamalai University is 136. There is not much information available on university's website about the course. To get more information, someone can get in touch with University's officials. Alagappa University is another popular university from South India. The university offers distance learning course in both English and Tamil medium. The distance education PGDCA course offered by the university is a one year English medium only course available to students. The course code is 412. The total fee of for PGDCA course is Rs. 7,500. Students who take admission directly with the University are required to pay total fee in full with a single demand draft, whereas, students who opted to join the course through a learning center need to submit two demand drafts of Rs. 4500 and Rs. 3000 each. Osmania University is 7th oldest university in India located in Hyderabad. The university offers post-graduate, undergraduate, and diploma courses under distance education system. The university offers all the distance education courses under its Prof. G. Ram Reddy Center for Distance Education. The PGDCA course offered by the University is a one-year post graduate diploma course. There is no age-bar to join this course. That means people from all age groups with a graduate degree can join this course. Also, people from across India can join this course without any entrance exam. If an NRI wants to join this course, he/she can join this course by furnishing an address in INDIA for correspondence. All students are required to come to Hyderabad for writing the examinations. There is no online examination facility available at the university. The total fee of Osmania University distance learning PGDCA course is Rs. 10500. 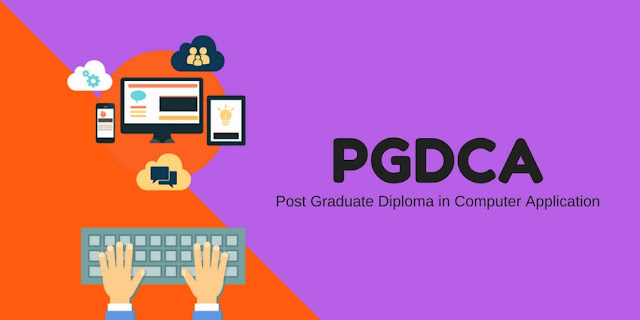 PGDCA is a good diploma course that students can take up to strengthen their knowledge of computers and programming languages. People who do not want to pursue their career in computer programming can still join this course if they want to work in an IT company in marketing or HR department. The above-mentioned universities are top notch and approved by distance education bureau for running distance learning courses. Students are advised to confirm all the details with university officials before they join the course.